From Charly Bliss to Britney Spears. 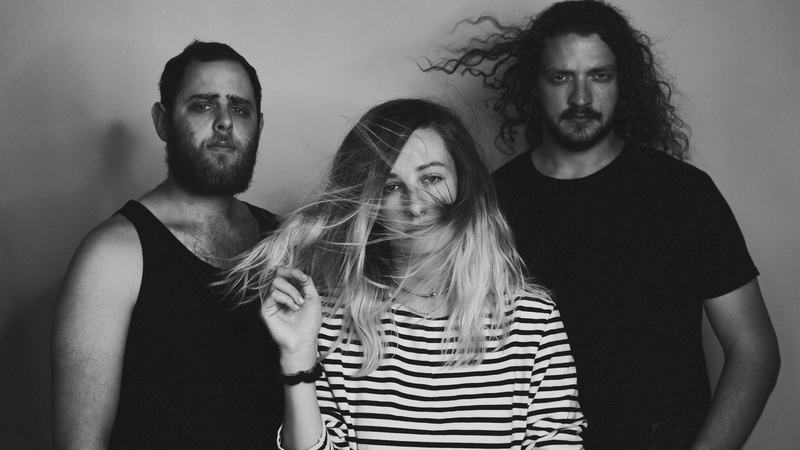 Brooklyn bred three-piece Slothrust are all about the unexpected. Their sound? Impossible to categorize. Their lyrics? Hard-hitting and abstract—unconventional in the best way possible. If you've had the pleasure of seeing them perform, you can also probably agree that their live shows tie all of these elements together, inviting those in attendance to imagine the stories that vocalist Leak Wellbaum masterfully paints onstage. If you haven't gotten the chance to see the "Rotten Pumpkin" creators in the flesh, we come bearing good news—they'll be hitting the road later this month in support of their 2016 release, Everyone Else. Before the grunge revivalists set off to perform in cities like Los Angeles, Chicago, Toronto, and Boston, bassist Kyle Bann let us know who he's most excited to see live this year. From Charly Bliss to Britney Spears (Vegas, anyone? ), check out his picks below, then make sure to Track Slothrust on Bandsintown to see them in a city near you. "First found this band via their Audiotree session. They're super fun and pretty shred-tastic." "When you want to hear two 8-string virtuosos math-shred your face into a puddle of goo, this is the band to listen to." "She's got the whole Vegas residency thing going on. I'm betting it's incredible." "Caught this band a couple times around LA, they seem to be coming up with cooler and cooler stuff all the time." "They're coming to California literally the day we leave!!! Hopefully I'll catch them later this year somehow."